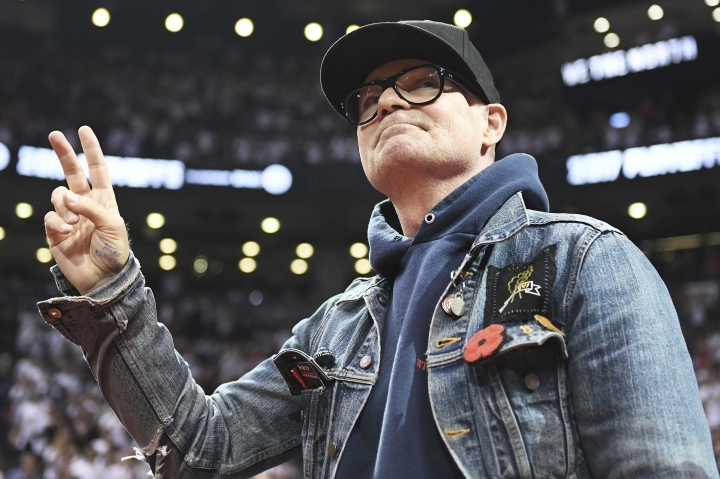 TORONTO — Gord Downie, who made himself part of Canada's national identity with songs about hockey and small towns as lead singer and songwriter of iconic rock band The Tragically Hip, has died at age 53 after a battle with brain cancer. A statement on the band's website said he died Tuesday night "with his beloved children and family close by." The statement did not give a cause of death, though he had been diagnosed earlier with brain cancer. Since The Tragically Hip's first album in 1987, the band has provided a soundtrack for the lives of many Canadians. "Ahead by a Century" and "Bobcaygeon" are among the best known. "We are less as a country without Gord Downie in it. We all knew it was coming but we hoped it wasn't," said Trudeau, his voice breaking. "I thought I was going to make it through this but I'm not. It hurts. " Trudeau also said in a written statement that "Downie uncovered and told the stories of Canada. He was the frontman of one of Canada's most iconic bands, a rock star, artist, and poet whose evocative lyrics came to define a country." "He loved every hidden corner, every aspect of this country that he celebrated his whole life. And he wanted to make it better," Trudeau said in Ottawa. That same day, the band said it would mount a Canadian tour despite Downie's cancer. Tickets for the 2016 summer tour sold out almost immediately, culminating in a national broadcast of the band's final tour stop at Kingston, Ontario. Millions tuned in. 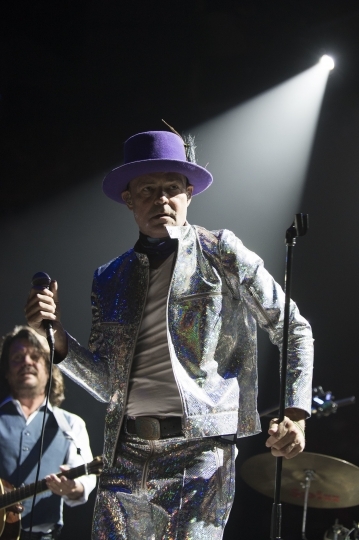 "God knew this day was coming — his response was to spend his precious time as he always had — making music, making memories and expressing deep gratitude to his family and friends for a life well lived, often sealing it with a kiss ... on the lips," the Downie family said in a statement. During his final show, Downie called out to Trudeau, who attended the concert, to help fix problems in Canada's aboriginal communities. A few months after that concert, Downie released a solo album with an accompanying graphic novel and animated film inspired by the tragedy of state-funded church schools that Canadian aboriginal children were forced to attend from the 19th century until the 1970s. He said his "Secret Path" project was aimed at Canada's decades-long government policy of requiring aboriginal children to attend residential schools, where physical and sexual abuse was often rampant. Born in Amherstview, Ontario, Downie said he "always had a keen ear for music" and while all the other kids were spending their allowance on baseball trading cards, he was buying records "from the fathers of rock 'n' roll." Their first self-titled EP was released in 1987 and their breakthrough debut full-length album, "Up to Here," was released in 1989. Since then they have released 14 studio albums, two live albums, one EP and 54 singles. Nine of their albums have reached No. 1 in Canada. They have received numerous Canadian music awards, including 14 Juno awards, the equivalent of the Grammy in Canada. The band's 2012 album, "Now for Plan A," was lyrically influenced by Downie's wife and her successful battle with breast cancer. Gillies reported from SMITHS FALLS, Ontario.